We’re just a little more than halfway through 2017, and the year has already yielded some fascinating music. Much attention has been paid to superlative records by household names like Kendrick Lamar and Jason Isbell, blockbusters by newly minted superstars such as Lorde, and the forthcoming efforts of indie stalwarts Grizzly Bear, LCD Soundsystem, and Arcade Fire. But amid the waves of artists you love — and artists you love having back — it could be easy to lose sight of some terrific debut albums that have made their mark on the first half of 2017. Some of the following artists had already made their presence felt with singles, EPs or previous projects, but in early 2017 they put out fully-formed statements that made listeners feel like they were getting acquainted with tomorrow’s stars today. It feels silly and obvious to talk about how melodic the first Bedouine record is, but this collection from Azniv Korkejian is just so lovely and tuneful. The songs glide along with tasteful instrumentals only accenting, never interrupting or overpowering Korkejian’s singing. There is an effortlessness, an unforced quality, to her sound yet with it comes with a definite sense of sophistication. Alex Luciano and Noah Bowman had already created serious buzz with EP Over Easy and 7” Sleeptalk / Dinner Date that overflowed with personality. The duo amplified and sustained that buzz on a dozen tunes that only further establish Diet Cig as the new standard-bearers for pop punk. Kudos to the band for delivering perhaps the most staggering opening statement of the year with first track “Sixteen,” the awkward, ultimately empowered tale of Luciano trying to make it with a guy who shared her first name. The Washington D.C. native builds a bridge between groove-oriented R&B and a more ethereal, shapeless sort of electro-pop. Hakim’s full-length debut has all the killer rhythms and slow-burning, stirring vocals once could want, but the record also bobs and weaves in artsier directions with slightly detuned pianos, echoing drums and fine layers of modern musical dust. There’s nothing casual about this fearsome foursome from Washington D.C. Both those who think of punk as a genre, and those who see it as a state of mind, will be challenged and heartened by Priests’ debut. There is righteous anger here, expressed by pounding drums, the occasional squall of saxophones and Katie Alice Greer’s darkly compelling vocals. Buoyed by the powerhouse vocals of Tina Halladay, this Philadelphia unit makes music perfect for rawk-fist pumping and scream-till-you’re-hoarse sing-alongs. There is definitely a ‘70s aesthetic at work here with the band playing massive riffs and pursuing slinky grooves, but Sheer Mag is so good at what it does, it almost doesn’t matter when it is doing it — the band would have found an audience at any point in rock history. The first thing you notice about Sidelong is Sarah Shook’s voice. And like her last name, that voice will leave you rattled in the best sort of ways. The North Carolina outfit writes and plays first-rate juke-joint, somebody-done-me-wrong songs. But the strength of the material reaches a new level in Shook’s distinctive timbre; she has all the confidence of a honkytonk heartbreaker, yet possesses the quaver of an alt-rock icon. The solo debut from The Antlers frontman is only six songs long but, at around 35 minutes of music, it qualifies as a full musical expression. Silberman melds cinematic and, at times, neoclassical colors into a quietly exquisite vision. At the risk of hyperbole, his wispy, floating vocals approach Jeff Buckley territory at more than a couple moments. This work is atmospheric, but is far from background music. Pitchfork Music Festival is an experiential embodiment of the magazine itself, topped off with all the sweat and smoke you reflexively sense when reading their articles. All the artists too cool for Lollapalooza descend on Union Park just a few weeks before in the publication's (and our!) native Chicago, and we've taken the liberty of condensing the lineup into a handy guide you can use to preview what's in store this weekend. This is part two of a two part series. Catch up with Part One: Classic. Guitar players get all the glory. Aside from lead singers, they typically are the focal point in any band, and at their most prolific, guitarists can overshadow singers or even render frontmen interchangeable. The dynamic is understandable; The mythic power of rock is perhaps most fully alive in a great riff or solo. If we’re going to play “air” anything, we usually go for the guitar first. That doesn’t lessen the significance of a band’s other members, though. Strong players on other instruments sharpen a band’s sound, make it more versatile, and make their running mates look even better. The best of these players don’t just keep the beat or meet minimum expectations, they find spaces of their own to express something intangible, to contribute moments of lyric beauty and sheer power. Here is a small sample size of those who’ve shouldered these roles, a team of most valuable players who don’t primarily play guitar. They might not be the flashiest players, but they make their bands better in important, sometimes nearly imperceptible ways. First, we looked at legacy artists. Now indie icons — players whose bands have earned respect and a faithful following, but started from the outside looking in. Strengths: A great drummer knows the quirks of his or her fellow bandmates. In Spoon, Eno backs a singer, Britt Daniel, with a particular style and cadence. Eno has developed a remarkable sense of phrasing that suits, and at times pushes and pulls against, Daniel’s. In that way, the pair have a relationship not unlike the one most singers share with a lead guitarist. Strengths: Long Jeff Tweedy’s right-hand man, Stirratt is the only other member to be part of Wilco’s entire arc. Stirratt is always a true servant of the song. But don’t mistake him merely for some low-end bedrock or trusty sidekick. He can take hairpin turns on his instrument; his basslines are deceptively funky and only grow more so as time passes. Strengths: Weiss is no less than one of rock’s great drummers — but she’s something more. Playing in a trio with superlative guitarists Carrie Brownstein and Corin Tucker, and no permanent bassist, Weiss has to cover more musical ground and account for more sound than many drummers. Her ability to fill in the gaps, and do so with ferocity and flair, is awesome to behold. Strengths: The Bad Plus is about as punk rock as a jazz trio can get. Technically, pianist Ethan Iverson is tasked with melody, though bassist Reid Anderson and King pull their fair share of the load as command is passed between each player with ease. It’s hard to call a drummer as zealous as King melodic, but he definitely does more than drive the beat. He digs into his kit, making use of every inch of it and impacting a song in ways traditionally reserved for a more tuneful instrument. Strengths: This Minnesota new-grass outfit is known for the intensity of its picking. More than just a happy-go-lucky fiddler, Young is able to match his bandmates blow for blow, but also can bring the legato to the party, providing a melodic counterpoint to all that chugging. Young’s ability to mimic other instruments or effects with his bow and strings only adds to his value. Strengths: An all-around talent on keys, Steff can temper Lucero’s scuffed-up sound with soft, sweet piano, soulful organ or accordion playing that evokes a New Orleans street corner. He also can indulge the band’s basest urges with boogie-down, bandit scampers across the keyboard and mountains of B3 reverb. Strengths: Think the 1927 “Murderer’s Row” New York Yankees. Think the Wu-Tang Clan. Whatever says “supergroup” to you, the Punch Brothers are the string-band equivalent. This staff full of aces can play anything, and Pikelny often does. He can be fast and mean, but often coaxes unconventional sounds out of his banjo, playing painterly, rippling passages that set the band’s mood. Strengths: Gonzalez does wield a guitar on occasion, helping the Southern rockers achieve a three-axe attack. But he does the most damage behind the keyboards. His soulful organ stabs and cascading piano runs add a killer element to the Truckers’ sound and qualifies Gonzalez as a potential heir to rock keyboard royalty such as Benmont Tench and Garth Hudson. Strengths: Less can indeed be more. And when a band boasts one of its generation’s great lyricists, as Dawes does with Taylor Goldsmith, it feels unnecessary to dress those words in unnecessarily technical playing. With the exception of last year’s We’re All Gonna Die, the band has kept its cool, focusing more on nuance. As Dawes’ bassist, Gelber has played a major role in keeping it simple, but never simplistic. His sense of control — and ability to find the pocket right away, then stay there — is an example to young bassists who think they have to run their fingers all over the frets. Strengths: Mendoza leads the vibrant “indie mambo” collective Y La Orkesta, but is best known in the rock world for his association with the Tucson rockers. His experience growing up on both sides of the Mexican-American border, and his instinct to listen attentively to the soundwaves floating across it, brings richness to the Calexico sound. Mendoza can do a traditional Cuban dance across the piano or replicate the bargain-bin synths heard in popular cumbias. This is part one of a two part series. Don't miss Part Two: Contemporary. First, an all-star group culled from legacy bands — acts that have achieved longevity and done most of their swimming in the mainstream. Strengths: In a band full of big, unpredictable personalities, McVie was an anchor, an elegant, steadying force. She not only suited her playing to the band’s stylistic shifts, but had a serious hand in shaping them. McVie could create warm sound beds, accent all-out rockers or show off a surprisingly bluesy side. Strengths: The classically trained pianist took a fork in the road to become a rock keyboard legend and the prototypical MVP. His Hammond organ chops and nimble piano playing brought a dimension to one of the truly great American bands. Tench is as important — on some songs, even more so — than Petty’s first mate, guitarist Mike Campbell. Strengths: Whether in Costello’s first band, The Attractions, or a later iteration, The Imposters, Nieve has been a regular presence alongside the English bard. Like any great rock keyboardist, Nieve can do a little bit of everything. But he established a unique voice, augmenting Costello’s particular neuroses with the jittery, kaleidoscopic sound of the Vox Continental organ. Strengths: Weymouth and husband, drummer Chris Frantz, will of course always be better known for their integral roles in Talking Heads. But the band they formed in the midst of the Heads’ peak years, and the one that still remains, benefits from the still-bounding energy and lovely, strange persona Weymouth brings to the table. Strengths: Flea is the Red Hot Chili Peppers. You can argue that without him, Anthony Kiedis would just be a shirtless surfer mumbling something about California. The bassist provides the Peppers’ manic energy, but also is its music historian, working from a great knowledge of jazz and funk. Strengths: Berlin is the consummate team player, bringing versatility and an edge to the Lords of East Los Angeles. Berlin plays the saxophone with a chip on his shoulder and a groove in his heart. His ability to move seamlessly between instruments and styles makes him a perfect fit for the multi-faceted band. Strengths: Ament’s contributions can be lost to the two-guitar attack of Stone Gossard and Mike McCready and fevered singing of Eddie Vedder. A recent episode of Steven Hyden’s Celebration Rock podcast noted that Ament brought a bit of funk with him from stints in bands such as Mother Love Bone and Green River. Hyden and Co. were right on: Ament is an agile player, commanding in a relatively quiet way. Strengths: If it’s possible for a drummer to be a quiet force within a band, Selway is the embodiment of that notion. With whirling dervish Thom Yorke at the microphone and all the squalling noise coming from guitar and synthesizer, Radiohead needs a steady force behind the drums. That’s not to suggest that Selway is merely reliable; he is an incredibly musical drummer who, like the other members of his band, finds the fullest range of possibilities on his instrument. Strengths: Following in Tench’s footsteps, Gillingham fits the man of mystery role for the Bay Area folk-rockers. All he does is put his head down and play resonant parts. Occasionally, Gillingham cedes the piano to frontman Adam Duritz, allowing him to paint from a different palette, moving to the organ or stepping away from his perch to play accordion. Strengths: In a band that, at least on hits like “One Week,” can be a little up-in-your-face, Hearn has a beautiful, deft touch. Hearn glides across the piano, executing runs that, in some cases, make the song without ever drawing too much attention to himself. Set against their hits, the Ladies’ deep cuts exhibit a serious musicality, and often Hearn underscores and upholds it. It happens every election cycle - politician plays song at rally, artist complains, politician replaces it with another song, that artist complains, rinse, wash, repeat. Of course many musicians do pledge support of some campaigns and lend their tunes to the cause (Killer Mike and Grizzly Bear's stumping for Bernie Sanders being recent highlights), but it's always the conflicts that get more news time and are, well, more amusing. While America's touring president-hopefuls usually turn to safe, generic fight songs and vaguely patriotic anthems for firing up their attending constituents there can sometimes be peculiarly glaring disconnects, from Trump's doomsday-implicating entrance to an incensed R.E.M. 's "It's The End Of The World As We Know It," to Reagan evoking the ostensible feel-good nationalism of Springsteen's "Born In The U.S.A.," a song that is actually a clear criticism of the US government and its war-mongering. But even if it's just a song about the sun, there will likely be complaints assuming the politician has one thing in common - the GOP. Though sometimes candidates are technically allowed to play the music in question under different blanket licenses, this usually falls under textbook copyright infringement concerning public performance rights, and those responsible usually back down regardless once a complaint is lodged even if only out of awkwardness. While it's rare, there are a few examples of lawsuits taking place, most notably the time also-bassist Mike Huckabee had to cough up $25,000 in reparations for tainting Survivor's "Eye Of The Tiger." While countless pieces have been penned (and performed) on this matter before, we at Transverso have taken the liberty of being the first to compile all (well, at least until Trump adds to it again) of the songs that have been retroactively barred from being used as sweet, sweet misappropriated right-wing propaganda in recent years into one playlist. In the age of Spotify hawking mix tapes from "Teen Party" to "Jock Jams" to "Not Your Mother's Christian Music," we figured why not curate the ultimate collection of tracks for you to use at your next campaign speech or event - that is, of course, if you're not a Republican. The playlist itself is sorted by artist name, and we also provided a list of the tracks below sorted by the names of the offending candidates and public figures. Joe Walsh - “Walk Away"
Longtime staple of both the Chicago and music festival experiences, each year Lollapalooza earns their reputation as one of the premiere menageries the performance industry can offer. Lolla, as the kids call it, needs no introduction at all, in fact, but we’ve written one anyway to justify our staff compiling such a lengthy list of recommendations (and condemnations) for this year’s edition. So if you’re still building your schedule, torn between conflicts, or just don’t know much about the bands that’ll be there, this is the guide for you! Chicago is no stranger to music festivals. From Lollapalooza to Spring Awakening, the city boasts such an impressive lineup of lineups that it takes a uniquely impressive roster for a festival to stand out. But over the past 11 years, Pitchfork Music Festival has carved out a space as one of the most consistent and distinctive weekends of the festival season, and it returns to Chicago’s Union Park this weekend to protect that title with a lineup that’s as confounding as it is exciting. After all, what other festival would juxtapose the aggravated experimentation of Girl Band and Oneohtrix Point Never with the powerhouse pop of Shamir and Carly Rae Jepsen? What other mainstream festival inexplicably devotes a sizable portion of its lineup to intricate jazz acts like Sun Ra and Kamasi Washington? What other festival hears Sufjan Stevens’ pained folk opus Carrie & Lowell and thinks “Now THIS is headliner material!”? Yet for all of Pitchfork’s idiosyncrasies, there are some unfortunate elements it shares with its summer festival brethren: oppressive heat, unruly crowds, and a mystifying undercard filled with bands you’ve never heard before. While we can’t help you with the first two, we can offer a carefully curated guide to this year's lineup that highlights who we're most excited to see, as well as some excellent acts you might not be as familiar with yet. If you saw two bands you love on the schedule and impulse-bought a weekend pass, this is your chance to do your homework before gates open. Eventually you'll be able to tell your friends, “Oh, I saw [insert buzz band here] before they blew up,” as you’re waiting to see them headline a much larger festival, and after all, isn’t that what Pitchfork is all about? Annual Austin-based music industry conference and festival South By Southwest is upon us, so we've prepared a playlist of some of the top artists you can expect to see while you're down there (or for you to listen to instead if you can't make it this year). What are you most excited to hear? Burning a mix CD of love songs has always been the best way to convey your burning desire, and while any mixtape off the street can be fire, it takes a special curation to fan the flames of one's heart. Now that the metaphors are out of the way, we'd like to present to you Transverso Media's first annual Valentine's Day Playlist, made just for you. Enjoy! 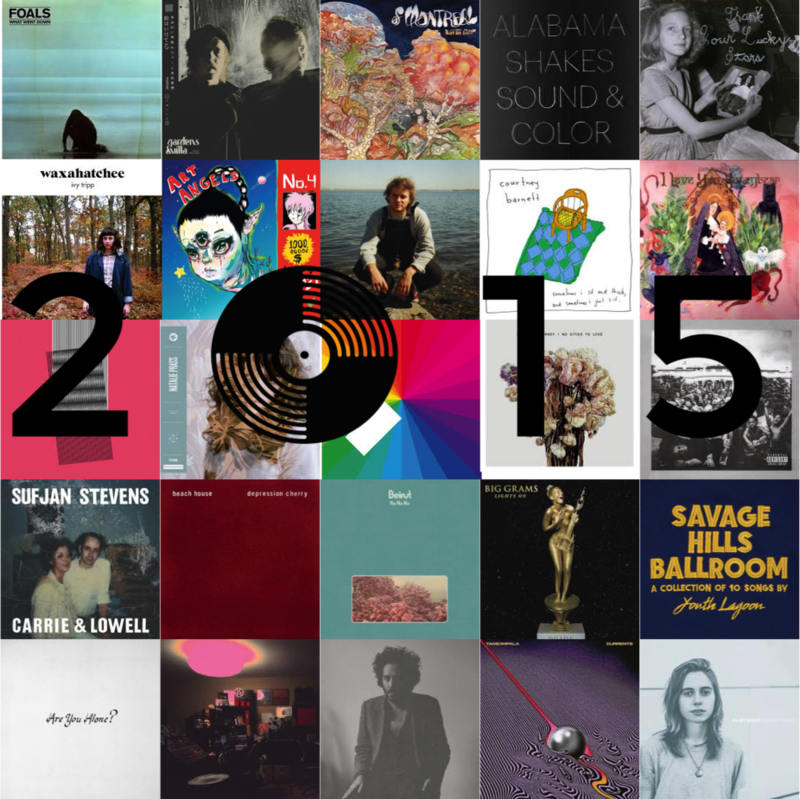 In this, the last day of 2015, we at Transverso Media have compiled our list of the top 30 records that were released in the past year. What are yours? 4. Hot Chip - Why Make Sense? Thank Your Lucky Stars acts as both an extension of and pivot point for Beach House’s career as a whole. Many may want the band to actively change in a progressive way, but the band chooses to continually broaden their sound in the most familiar and microscopic ways possible instead. Perhaps one of the best integration of all five preceding albums, you hear the metronome, drums are crisper, individual instruments are audible, and Victoria Legrand’s lyrics are unexpectedly discernible at certain points. It's what works for them, and its afforded Beach House the ability to carve out a dream-pop legacy (and avoid becoming a caricature) on their own terms. 2. Majical Cloudz - Are You Alone? Are You Alone? takes off where the Montreal duo’s preceding Impersonator left off; a paradox of bare-bones, minimalist soundscapes ebbing with lush depth that are somehow simultaneously tranquilizing and uplifting. Welsh’s immaculately vulnerable monologues and unflinching vocals are gently bold, and they drive their synth lullabies forward with severe care. It's Welsh at his most overbearing, and yet his tight grip is irresistible. Calculatedly organic, passionately controlled, it’s a journal reading in a dream. Currents is the most adventurous, interesting, and well-produced collection of songs Kevin Parker has created thus far, sitting atop Tame Impala's discography as the most mature and painstakingly crafted iteration in their twisted psych-pop world. From the lush synth tracks that bubble through the mix to his effortless, washed out vocals, every sound is rendered with the utmost care. Currents proves Parker is unable to stick with a certain sound, forever looking for new ways to evolve his ideas and push his project beyond what was expected when Innerspeaker first hit the shelves.